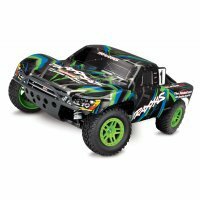 The Traxxas Slash brings the world of 900+ HP full-scale short course racing to your fingertips. The deep travel suspension, a hardened steel planetary differential and watertight, sealed electronics enables you to take the Traxxas Slash to the harshest conditions and will blast through them with ease. The Titan 12T 550 motor has an inbuilt cooling fan reducing running temperatures which allow faster speeds and longer run times without having to worry about overheating. Precise control is easy with the included 2.4 GHz TQ radio system and with Traxxas' Exclusive patented Training Mode. 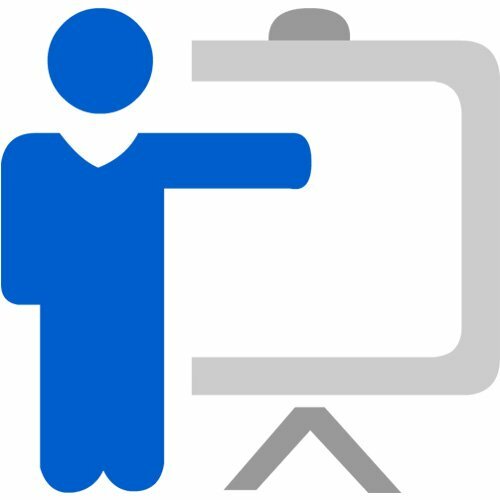 Learning to drive has never been easier. Simply press a button to limit total power to 50% and when you have mastered the controls of the slash, switch it off to release the full power of the Titan 12T 550 motor. 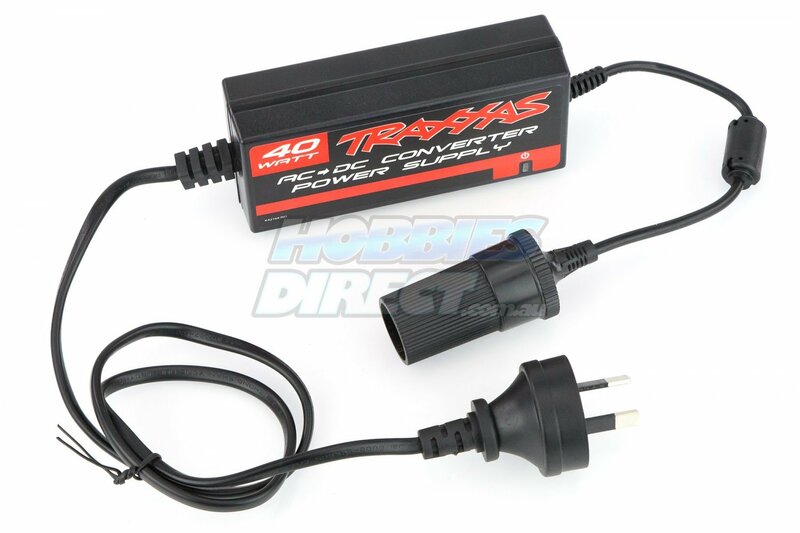 Hobbies Direct stocks 100% of the spare parts for the Traxxas 1/10 Slash meaning more fun-time and less downtime. 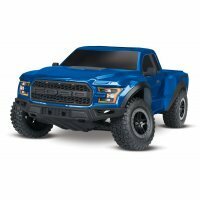 Traxxas' patented Training Mode is a fantastic way to learn how to drive an RC car, once set to Training Mode the power output of the car gets reduced to 50%. 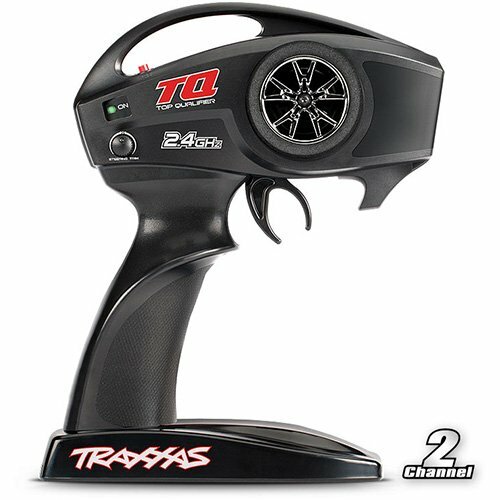 Traxxas' 2.4ghz TQ transmitter has a range of over 300 meters and has no trouble with multiple cars driving around at once. 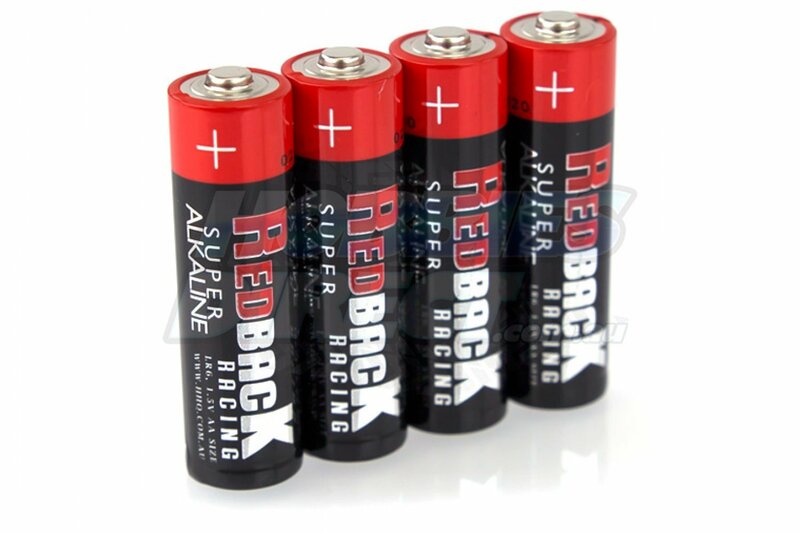 Designed to be very comfortable, lightweight (only uses 4 AA batteries), and easy to use. 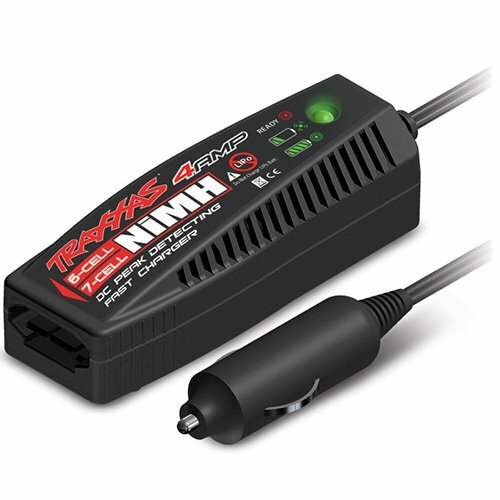 Stop waiting around for your batteries and charge with Traxxas' 4 Amp fast charger just plug it into your car's cigarette port and start charging. You can charge your batteries while camping on even at the track! Note: Do not charge whilst the automobile's engine is running. 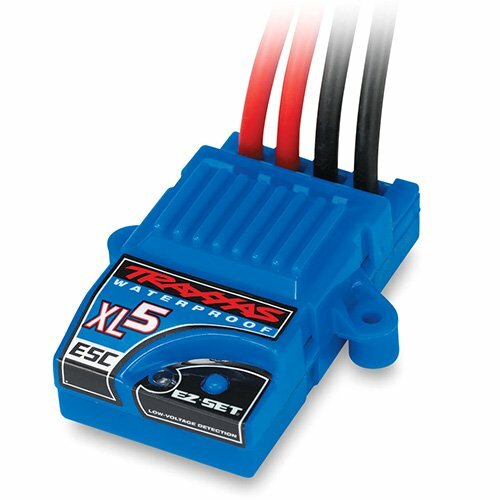 The XL5 is designed to be easy to use, handle NiMH and LiPo batteries, and comes with three programmable modes, Training Mode (50% forward with brake and 50% reverse), Sports Mode (100% forward with brake and 100% reverse - default), and Race Mode (100% forward with Brake and no reverse). This RC car's power is delivered by Traxxas' mighty Titan 12T brushed motor. Comes with a built-in fan for cooler running temps to handle long run times. 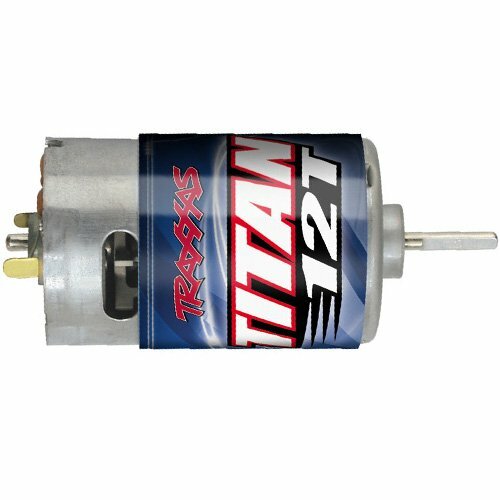 Compared to standard 540 motors, the Titan 12T 550 has a 30% larger armature. 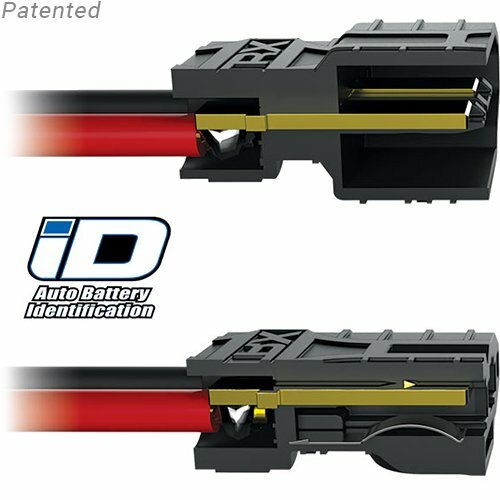 *with included optional 23-tooth pinion gear & optional 8.4v NiMh battery. Please Note: The charger included can only charge from a 12v cigarette lighter port eg. your car. If you need to charge from the wall 240v you need to purchase this power supply separately.